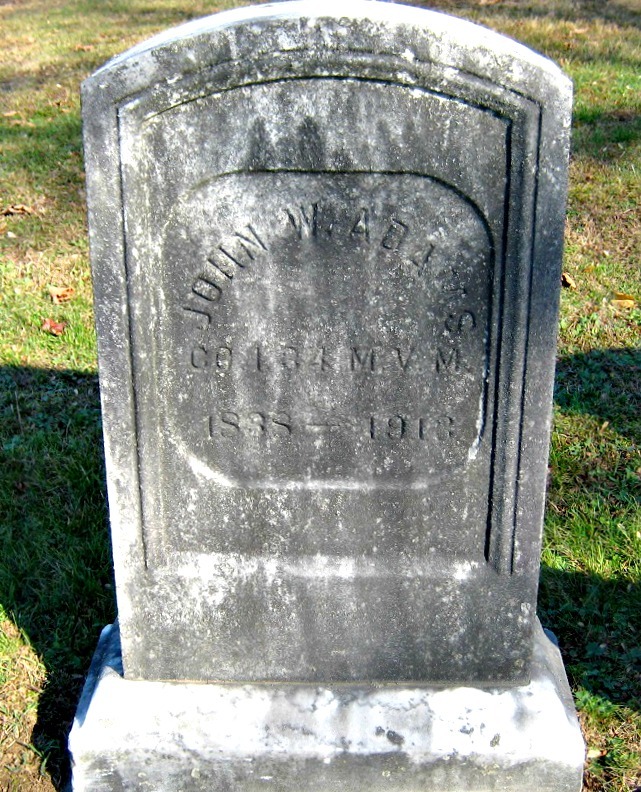 JOHN BANKS' CIVIL WAR BLOG: Is this 'New Market Angel,' a Union soldier rocked by tragedy? Is this 'New Market Angel,' a Union soldier rocked by tragedy? 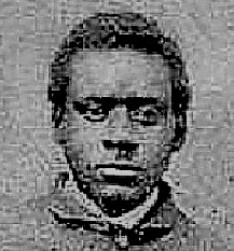 A post-war image of John Adams, who served as a corporal in the 34th Massachusetts. 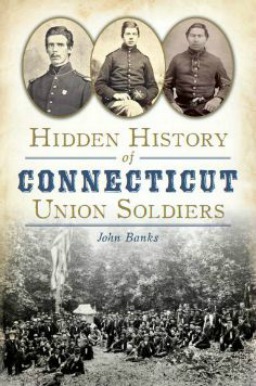 By late spring 1864, the brutal reality of the Civil War had tragically struck home in West Brookfield, Mass., for Benjamin and Frances Adams, parents of three sons in the Union army. On Sept. 17, 1862, Private William Levi Adams was severely wounded in the left lung at Antietam during horrendous fighting in the West Woods. 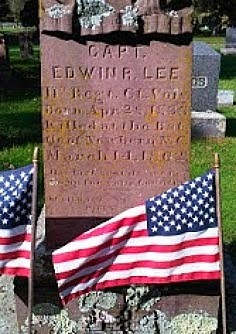 Only 22, he died weeks later of his wounds at Smoketown Hospital near the battlefield. ** Earlier in the war, William had been captured at the Battle of Ball's Bluff, a disastrous Union defeat along the Potomac River, near Leesburg, Va., and was briefly confined in Richmond before he was paroled. a private in the 34th Massachusetts. Both died during the Civil War. 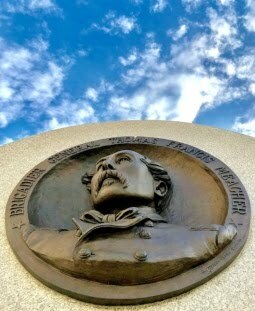 On May 15, 1864, a rainy Sunday, John W. Adams and his brother, George, went into action with comrades in the 34th Massachusetts near New Market, Va. -- a battle made famous by the participation of more than 250 young Confederate cadets from the Virginia Military Institute in Lexington. 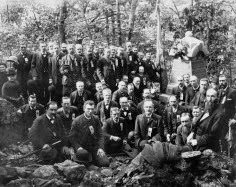 When the fighting began for the regiment about 1 p.m., the 34th Massachusetts was in a ravine near the Jacob Bushong farmhouse, Adams recalled. 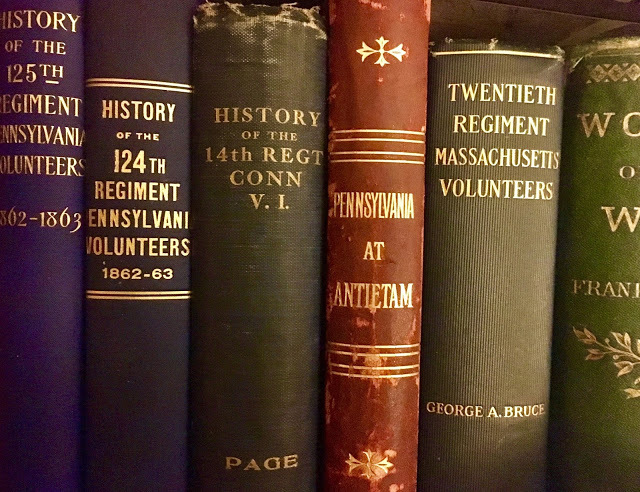 Much to the chagrin of 34th Massachusetts soldiers, he remembered, many in the 18th Connecticut skedaddled as the fighting opened. 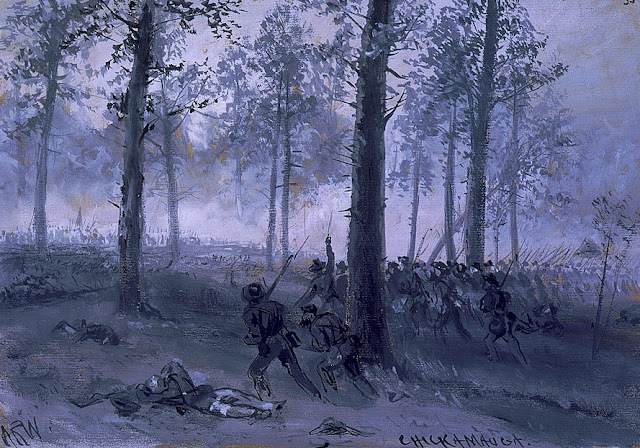 “There was for a number of years after the War a very biter [sic] feeling in our regt the 34 Mass against the 18 Conn. for their running away from us at New Market,” Adams wrote decades after the battle. A 20-year-old private in Company I, George E. Adams was "struck by a musket or rifle ball in the head and died instantly," according to his captain, Alexis Soley. Sometime early in the fighting, John was knocked unconscious by a shell fragment, then crawled toward the Valley Pike, where he was shot in the right thigh when he stood near a tree stump. "The bullet was what they called there a plug bullet about an inch long and smooth with a hollow in the rear end," Adams recalled years later. "I have it still after going through my thigh or thigh bone. I lied on the ground across a root of that stump until dark the night of the 16th when I was picked up by two men, and carried into the Bushong Barn where I staid [sic] 2 days, I think, until a Comrade and myself was taken in a dead Ox Wagon up to the town hall at Harrisonburgh and then to a building just outside of the town and the next day was put into a brick house belonging to Col. Asa Gray." Captured, Adams was sent to Andersonville. 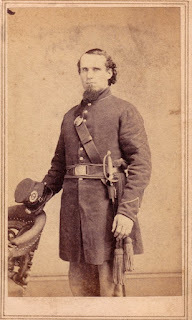 Remarkably, the 25-year-old corporal in Company I survived five months in captivity before he was paroled and finally discharged on April 19, 1865. But before the eldest son of Benjamin and Frances Adams was taken to the notorious POW camp in southwestern Georgia, he may have "forgot his own pain" to perform a remarkable act of kindness for a Southern family. 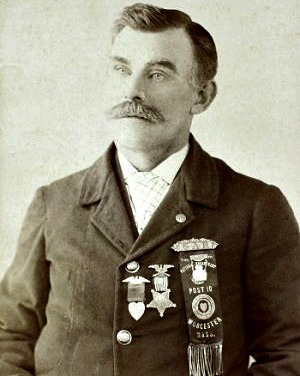 After the rag-tag Confederate army defeated the Federals at New Market, Adams was among the wounded left behind in the town of about 800 people. “A number of Massachusetts soldiers, wounded in the battle of New Market, were left in my native village in the Shenandoah valley. A few days before, the Confederate authorities, moving their stores to prevent capture by the approaching Federals, had requested the citizens to take into private houses a few Confederate soldiers too ill for removal from the town. Lieut. [Alfred] Woodly, a West Virginian, was carried to my father’s house, and, though every effort was made to save him, he died in a few days. 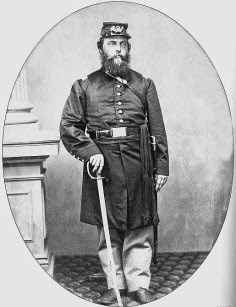 At my father’s request Dr. [Charles] Allen, the surgeon of the Thirty-fourth Massachusetts regiment, left in charge of the wounded Federals, visited Mr. Woodly at our house and paid him every possible attention. Alfred Day Woodley at New Market. "In my daily visits to the Federal hospital, which was near us, many kindly inquiries were always made for the wounded ‘stranger within our gates.’ One morning I told the Federal soldiers that our guest was dead, and many regrets and much sympathy for his family were expressed. 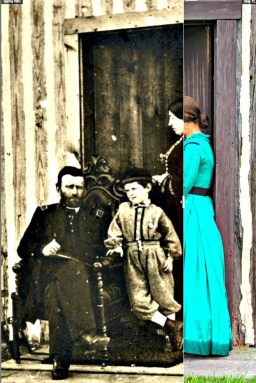 "In the spring of '65, after Gen. Grant had received Gen. Lee’s surrender and ordered that the ‘boys should keep the horses they would need to make a crop,’ a young widow, with her two lovely boys, the eldest about 6 years old, visited the soldiers' cemetery in our village and, parting the tangled grass, found the name of her husband carved by the foe who had been actuated by love, not hate, though he, too, had suffered. There was no pension for the widow or her babes; a cruel struggle with poverty lay before them, but as she knelt and kissed the sod above her lover-husband, she blessed the man whose care had enabled her to find the grave. "In conclusion Mrs. Langhorne says: 'Cannot the noble women of Boston, who did so much to aid our beloved country in her hour of need, find some pity in their hearts for those who have suffered so severely for the cause which they were taught to believe was right? Massachusetts men forgave their enemies when the fighting ceased.' 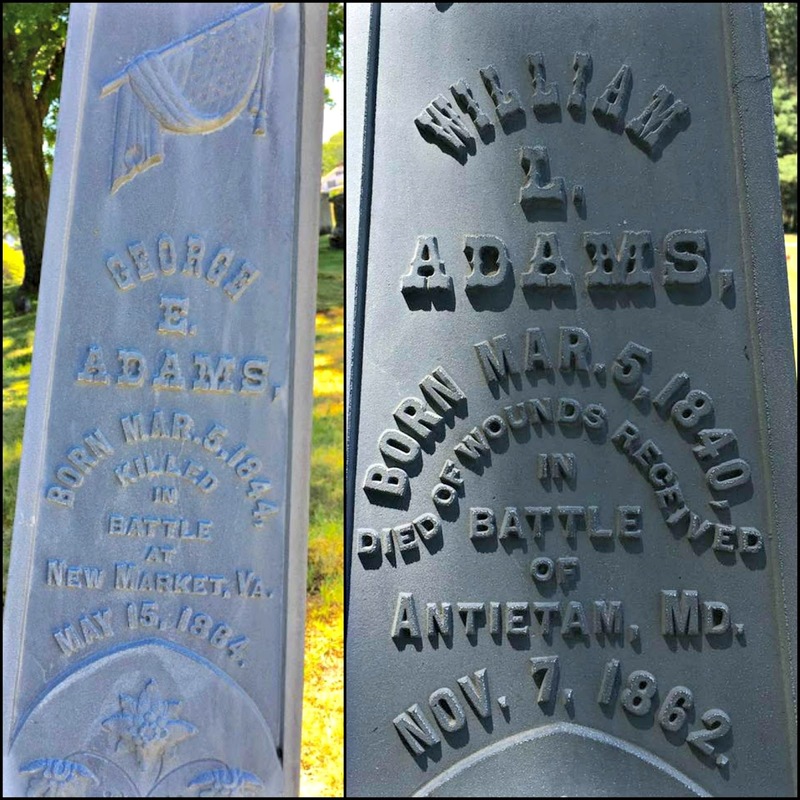 "
Documentation indicates it was possible Adams was indeed the soldier described by Langhorne in the account published nearly 24 years after the Civil War ended. Of the soldiers with the surname Adams in the 34th Massachusetts -- the only regiment from the state to fight at New Market -- only John W. Adams was wounded. The soldier Langhorne described was wounded in the leg, where Adams suffered his wound. But there's also reason to believe he may not be Langhorne's soldier. A bootmaker before the war, John Adams was described as a "mechanic" when he enlisted in the Union army on July 9, 1862, opening the possibility his craft could have included "marble cutter." The only soldier in the 34th Massachusetts whose occupation was listed as a marble worker was Private John A. Pratt, who also was wounded at New Market. The location of his wound, however, is not known. Did the initial "A" for Pratt's middle name stand for "Adams," perhaps explaining Langhorne's reference to a soldier named Adams? Further research or aid from a reader could confirm whether Adams, Pratt or another soldier from Massachusetts was the "New Market Angel." 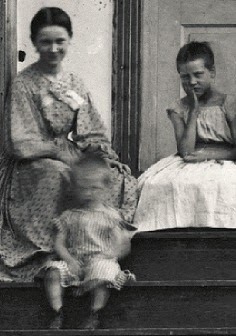 What's not in dispute is the tragedy suffered by the Adams family during the Civil War. 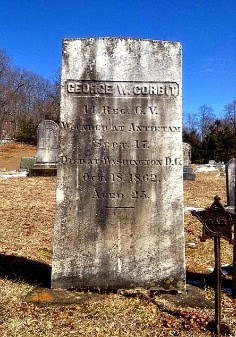 Nearly five years after George's death, his mother filed for a government pension, an effort to supplement the family income limited by her husband's inability to work consistently since the summer of 1859. According to physicians' affidavits in the George Adams pension file, Benjamin Adams suffered an accidental blow to the head in August 1859, which produced "faintness and giddiness" and led to complaints of liver and stomach ailments. Eventually, a pension of $8 a month was approved for Mrs. Adams, whose family income had been supplemented during the war by George. 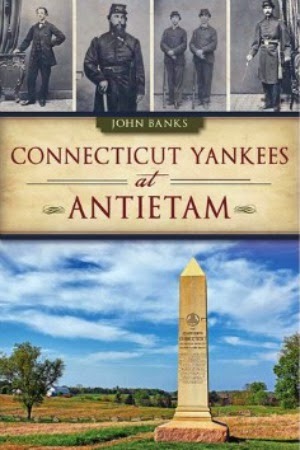 Married three times, John Adams was active in veterans' organizations after the war, including an association of New Englanders who survived Confederate prisons. He helped raise $60 for a Civil War monument on the town green in West Brookfield. He died at 74 of heart disease on Feb.13, 1913, and was buried in the town's Pine Grove Cemetery near his brother, George. William Adams' remains rest in Antietam National Cemetery in Sharpsburg, Md., a short distance from where he died in the fall of 1862. The remains of Alfred Day Woodley, the officer in the 62nd Virginia whose name was carved into a headboard by a Massachusetts soldier in the spring of 1864, lie in a cemetery in Harrisonburg, Va.
Do you have more information on this story? E-mail me here. ** Sources give two dates -- Oct. 10 and Nov. 7, 1862 -- for William Adams' death at Smoketown Hospital near the Antietam battlefield. -- Alanson Hamilton Grand Army of the Republic Personal Sketches, Adams' brothers biographies, accessed online Nov. 27, 2016. 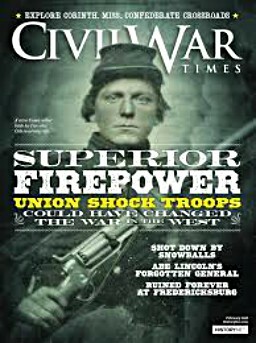 --American Civil War Research Database, accessed online Nov. 27, 2016. -- Brookfield (Mass.) Times, Feb. 14, 1913. -- George Adams' pension file via fold3.com, National Archives and Records Administration, Washington, D.C.